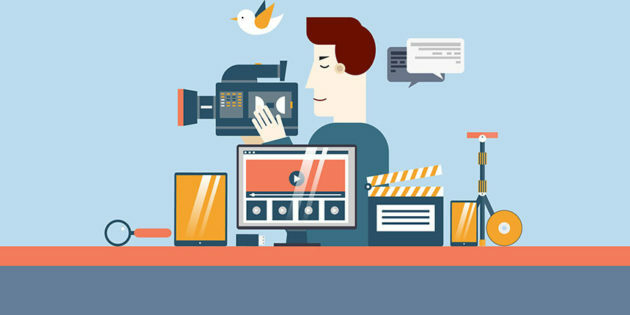 Video marketing is one of the most effective marketing strategies these days. People are easily engaged with what you have to offer them when they watch your video. Facebook shows that most of their active subscribers stay longer on Facebook when they watch videos. Youtube is the giant platform in the world where millions of videos are viewed every day. Youtube gets billions of views every day. This is the more reasons why large and small businesses utilize the power of Youtube & videos to promote their services. The problem that small businesses have is lack of adequate fund to pay expert video marketers to promote their videos. Many small scale businesses eventually give up if their videos are not getting enough traffic. The first and most important thing to do is to create your own video. If you don’t know how to create a video, use EasyVideoSuite to create your video. You can create animation or real person videos with EasyVideoSuite. After creating your video, you then need to properly get the right people to see it. You have to learn the tactics to properly target your keywords so that the right people can see your video. How do you target the right keywords so that your video can rank high in Youtube platform or on Google? Use the keywords that are related to your products or services. Use your keywords in your video title and contents. Try to avoid stuffing in too many keywords in your contents as Google and Youtube does not like this behavior. Search engine might see this behavior as a bad way to manipulate algorithm. Your video can be penalized for this misbehavior.